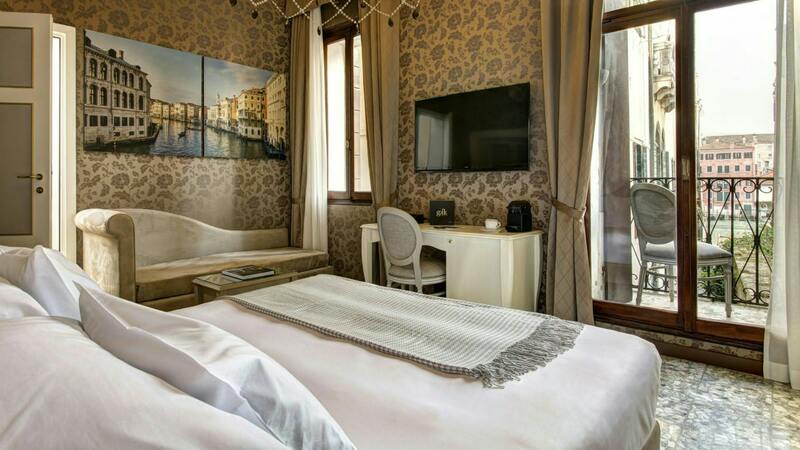 The Private Canal Suite, overlooking the spectacular Grand Canal, offers guests spectacular views of Venice, guaranteeing an unforgettable stay. A 30 square-metre suite, with classic-inspired furnishings in a modern and functional environment, designed to fully enhance the spaces and colours. The room, with a large king-size bed, has all mod cons in order to meet the expectations of even the most demanding travellers, including custom amenities and a free corner bar with a Nespresso coffee machine. The complete, comfortable bathroom also has an array of custom amenities.